Like many people, I've never been able to carry off a hat. Unlike most of them, I keep on trying, spurred on, at this point in my life, by the non-aesthetic benefits of hat-wearing - keeping warm and keeping off the sun. When younger, I routinely made myself ill in hot places by refusing to sacrifice appearance to health (in the same way that many won't consider warm underwear in cold weather until they're past 35). 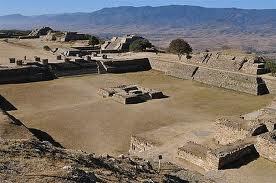 Monte Alban, near Oaxaca in Mexico, comes to mind. I walked around these exposed ruins for several hours under a searing sun, and, not surprisingly, suffered a blinding 24-hour headache. Some people look great in hats. Ruth, for instance, who borrowed this one from me only minutes earlier and immediately made it her own. It was bought for me last century by the X in a Sydney St Vincent de Paul's because I was trapped in the house by blazing heat. I didn't wear it then, I don't wear it now, and yet it goes on waiting for me to do so. I have more luck - or is that confidence? - with winter hats. Perhaps because they're markedly less ladylike and I don't feel such a fraud. I borrowed this one from E for a winter weekend at the Chateau last year and felt remarkably at home in it (I was, mind you, in love with the person weilding the camera, which probably anaesthetised me against all other sensations). 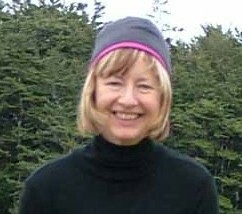 E also gave me a nice wool cloche she bought at considerable expense in London. I don't feel too bad in that, either. Sun hats, though, continued to elude me. And then - drumroll - last year in Melbourne I found it - the perfect hat. Because I've spent much of my life in a state of hat denial, I don't know the proper names of various types of hat, so I'd better just give you a picture of this one. Which doesn't go far towards illustrating how nifty it was in Kookai when I bought it. That's because within a day or so of getting it home I ran it over. I must have rushed down the path to the car and plonked the hat on the car roof while I got myself and my belongings inside. I didn't notice the hat wasn't among them until I returned an hour or so later and found it flattened on the road. Tragically, it's never been the same since. I suppose what I like/d about it is that it isn't ladylike. It appeals to the boyish in me. It makes the wearer look jaunty rather than as though she should be bedecked in muslin, carrying a willow basket of cut flowers and brimming with sweetness. This hat's other important feature is that it fits me. I have a small head and that, coupled with the usual onslaught of the Wellington wind, means your average-sized brimmed hat is off my head in seconds. This one is soft, rams on tight and stays put. Unlike a similar one, bought a year or so later, also in Melbourne but rather more cheaply. Which means it serves more as a bedroom decoration than a useful piece of headgear.